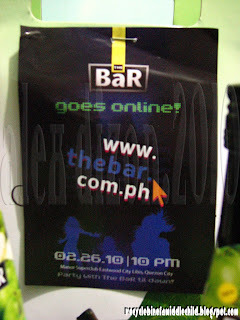 Last Friday, The Bar aficionados get drunk and grooved to the latest and hottest party music in one of the leading clubs in the metro, the Manor Superclub, to officially open The Bar’s online gateway, the www.thebar.com.ph. It was a hot night filled with good looking guys and gals from all over the metro dancing and flaunting their talents and stuff to the very nice remixes of Manor Superclubs house DJs. 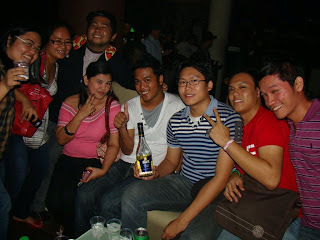 There were also some celebrities, and media people who got along and enjoyed the steaming night for this launch. As for me, I enjoyed the night with the rest of my blogger friends as we join the crowd and moved our hips and shoulder to the magnificent and so tempting sound of the place. 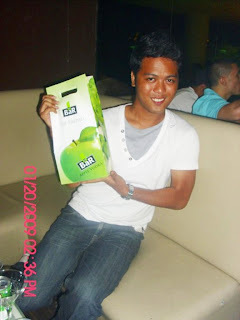 We also got to enjoy free drinks and food while being tempted by the alluring ambiance of whole event. You can check out other photos from The Bar’s Facebook account and, of course, in The Bar’s website. 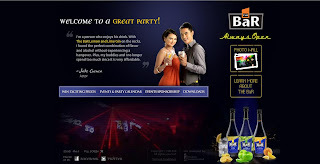 In their website, you can get updates on their events calendar, upload your coolest photos with your favourite party drink, customize your desktop with The Bar wallpapers, request an event sponsorship directly from The Bar and know the latest promos and win exciting prizes! Isn’t that great? 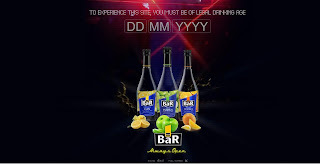 Indeed, The Bar is the number one drink that brings great parties! Thanks, The Bar! See you again next time! Or see you online!